Mercedes-Benz hit new record unit sales this past April, reaching 192,000 vehicles sold. The SUVs were the ones that led the way with over 68,000 units delivered. Mercedes-Benz has registered the all-time strongest-selling quarter, defending its leading position in the premium car market. 192,558 cars were delivered to customers worldwide, marking a 6.6% increase, more than ever before from January to April, reaching a new high total of 786,862 cars sold. 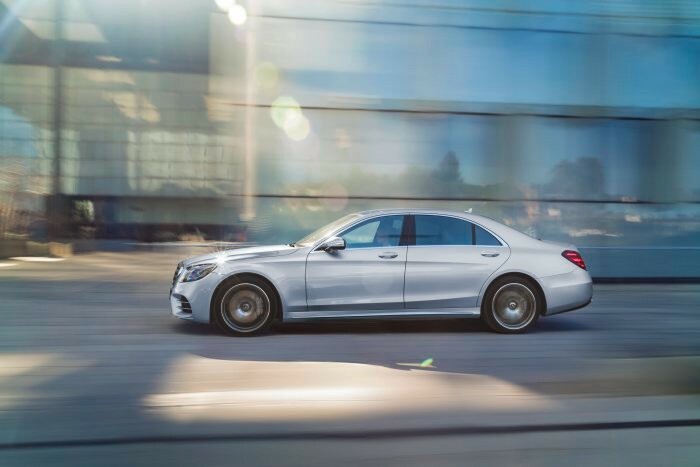 Mercedes remains the top premium brand with the highest number of new registrations in April in countries like Germany, Spain, Sweden, South Korea, Australia, USA, Mexico and Brazil. 312,966 cars remained in Europe for the first three months of 2018, with 75,835 of them being sold in April. One third of them stayed in Germany, the biggest European market (25,303 units). Spain, Sweden, Poalnd and Portugal also marked never before record unit sales this year. There were 80,243 units making their way to Asia-Pacific in April, which equals a 17.2% growth. 57,221 of them went to China. For the first time in the company’s history, China surpassed the 200,000 mark in unit sales within a quarter o a year, going as high as 227,153 units. More than two thirds of the cars sold there were also produced there. South Korea, India, Thailand and Malaysia also posted best-ever sales figures. The NAFTA region accounted for 126,518 cars in the first four months of 2018, more than ever before as well. Last month, 27,207 of them were delivered to the United States of America. Canada and Mexico also saw major increases of 7.4%, 44.2% respectively this past April. The SUVs are the ones to lead the way, as 68,129 customers ordered a high ride with the three-pointed star. The sales for the GLC SUV rose by 37.2% in April. The GLA is also one of the best-selling models of the SUV premium segment. That would surely not mean that the sedans’ popularity is declining, since the S-Class seduced 6,977 customers in April. With the new A-Class on its way to the showrooms, the previous model is still living its days of glory. 46,000 compact cars were delivered to customers around the world in April. This year, 197,000 units of the A-, the B-Class, the CLA, the CLA Shooting Brake and the GLA won more enthusiasts by 0.2%. The tiny smart is growing, too, since 40,000 models were handed over in the first four months of 2018 across the globe. 10,128 of them were delivered in April.